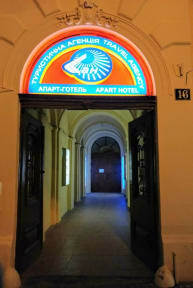 Hotel sun located in the historic classical building just 100 meters from the center of Lviv and the monument to Taras Shevchenko. The building renovated in 2018. The 3-star Hotel Sun offers spacious, colorful rooms with cable TV, wooden floors. Each room has a private bathroom. All of them have free WiFi. Guests Sun Hotel shared kitchen, a cozy lounge with a fireplace and barbecue facilities. 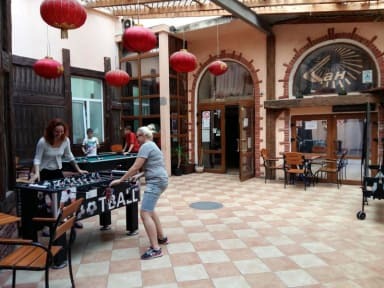 Guests can relax in the bar or enjoy a game of table tennis. Staff can book shuttles to Lviv Airport, journey takes 30 minutes. Check in time is 2 PM. This property has right to pre-authorize credit card prior the booking online. On the arrival will be charged 20 euro deposit for the room key, which is returned after the eviction and return of rooms in the proper form.